My Alpha Brain Review: Does It Stack Up? 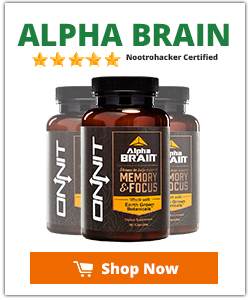 Alpha Brain is a potent nootropic blend of some of nature’s most potent dietary supplements for improving focus, memory and brainwave optimization. Backed by two randomized clinical trials, both of which show positive results, Onnit Alpha Brain has been proven to help your verbal memory (like recalling names or places), process speed and find your flow state with more reliability. I have to admit I was still a bit skeptical about it even after watching the clinical trial video, so I decided to dig a little deeper and learn even more about this brain optimizing nootropic. 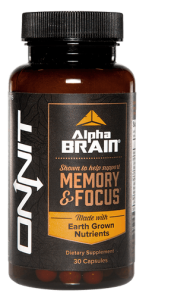 Typically I would start this Alpha Brain review by diving directly into how it works, but in this case I wanted to touch on some of its key ingredients as they play an integral role in the individual functionality of this nootropic. Onnit lists four key ingredients on their website, in addition to several other secondary ingredients. Unlike many other nootropic manufacturers, this company is happy to divulge exactly what they put in their products. Bacopa Monniera, also known as water hyssop, is an ayurvedic herb used to improve cognition by reducing the user’s anxiety, thus making it an adaptogen. Adaptogens are compounds that prevent the physical and chemical responses we experience during times of stress. While it may improve memory formation for some, if used on its own, others may feel too relaxed to work and experience demotivated instead. Cat’s Claw is a wild vine found in the Amazon forest, and its use dates back to the Incas. Historically it has been used as a form of contraception, to reduce inflammation, prevent cancer, as well as to boost the immune system. In this instance, it is used for its beneficial antioxidants and immune boosting properties. But Alpha Brain doesn’t use any old cat’s claw. The manufacturers have created a proprietary blend known as AC-11 which not only contains the cat’s claw bark component, Uncaria Tomentosa, but a new class of compounds called Carboxyl Alkyl Esters (CAE). This is done through a hot water extraction process that uses molecular sieving technology. Huperzia Serrata, also known as firmoss, is a plant extract that naturally inhibits the production of acetylcholinesterase (AchE). AchE breaks down acetylcholine, which is a neurotransmitter found in the autonomic, central and peripheral nervous systems. Acetylcholine, depending on its location, can stimulate muscle movement, and effect learning and short-term memory. It is broken down by AchE, so the inclusion of huperzia serrata in Alpha Brain is important for maintaining higher levels of memory boosting acetylcholine by preventing the AchE from doing its job. Oat Straw, or Avena sativa, is an extract used for its positive impact on your brains cognition. Studies show that when healthy subjects were given concentrated oat straw and then asked to perform tasks geared towards concentration or mental arithmetic, their cognitive performance was higher than those who only took a placebo. The takeaway here though, is that subjects must be healthy in order to see any sort of results from this ingredient. Now that we know what we’re working with here, let’s talk about what this product can or cannot do for you. Like most nootropics on the market, whether or not the product works is very subjective and depends on your body and lifestyle. How you ingest Alpha Brain can affect its effectiveness. As I mentioned above, one of the top four key ingredients is Bacopa Monniera. It is fat-soluble, so for it to be properly absorbed into your body requires it to be ingested with a fat source. Onnit does prescribe taking Alpha Brain with a light meal though. On an empty stomach, you are not likely to absorb enough of the compound to experience a difference. After reading the Ingredient section above, you can see how each ingredient included is meant to compliment another. For starters, L-theanine makes the blood-brain barrier easier to permeate, making it easier for essential antioxidants, amino acids and neurotransmitters to perform their duties. Several of the ingredients, including bacopa monniera, L-tyrosine and pterostilbene reduce your natural reaction to cognitive and bodily stress that can reduce focus, memory and performance. Coupled with huperzia serrata’s AchE inhibitors, your body can help maintain or increase its acetylcholine levels and therefore improve your ability to learn or memorize things. And so the cycle continues. What’s important to note is that much of Alpha Brain’s functionality relies on ingredients that increase your body’s production of acetylcholine and reduces stress and anxiety that may wear on your cognitive performance. Most of these symptoms are a result of an unhealthy lifestyle. For example, if you do not get a decent amount of sleep, are stressed, overworked and make poor diet choices, you are more likely to reap the benefits of this product. Unfortunately, a large portion of the population fits into this category, so if you nodded your head ‘yes’ to any one of the symptoms listed above, then you will likely benefit from taking this. On the other hand, If you are an individual who maintains a healthy diet rich in fruits, vegetables, protein and healthy fats, exercises regularly and gets adequate amounts of sleep then your body most likely produces enough choline on its own. In short, you may not notice the effects of Alpha Brain at all. Improved Learnability and Memory — Acetylcholine is responsible for improving overall memory and this stack includes several ingredients that work towards increasing its production, and increasing neuroplasticity making it easier for your brain to form neural pathways and synapses. Simply put, making it easier to absorb and retain new information. Increased Focus and Cognitive Performance — Thanks to the inclusion of several antioxidants and amino acid rich ingredients, Alpha Brain helps your brain get the oxygen and nutrients it needs to help you focus harder and perform better. Better Sleep and More Lucid Dreams — Perhaps one of the greatest benefits noted by users is their improved sleep quality and their ability to have much more lucid dreams. Several of the ingredients of Alpha brain work to reduce stress and anxiety on your body and mind. As you can imagine this would greatly improve your ability to sleep. As far as dream lucidity goes, this refers to your ability to ‘control’ your thoughts and movements while in a dreamlike state. Lucid dreaming leads to a whole new host of benefits including improved creativity, exploration of your conscious and self-realization, as well as lead to healing of the mind and body. This is a fair question considering the whole premise behind nootropics is to alter your brain chemistry in some form or another. Most of the ingredients in Alpha Brain are natural and therefore considered safe by the FDA. For example, vitamin B6, Alpha GPC, Phosphatidylserine, Bacopa Monniera, L-tyrosine, L-theanine and oat straw are all considered incredibly safe, as they have low enough dosages and tend to have a lot of scientific research backing their safety. A few lesser known ingredients do not have as much research, but likely offer no true negative side effects. There is approximately 40mg of Huperzia serrata in Alpha Brain which is double the daily recommended dose. This could also be the cause of dream lucidity. The level of Vinpocetine is not considered dangerous, however if you combine Alpha Brain with other nootropics, it may affect individuals who have low blood pressure. While there tends to not to be many negative side effects, some users with higher than average acetylcholine levels may experience headaches or restlessness. They might also notice pressure or pain around their jaw as a result of excess neurotransmitters. If you experience either of these symptoms, you may want to reconsider using this product. Another potential side effect that some customers have found is that their dreams are so lucid it becomes uncomfortable and actually increases their anxiety levels. If this is the case, I would definitely suggest adjusting your dosage or to stop using it all together. Both on the bottle and the Onnit website you can find the recommended daily dosage and suggested use. The recommended daily alpha brain dosage for improving mental performance is 2 capsules in the morning or early afternoon. It is recommended that you take these capsules with a light meal, and we highly suggest one that contains healthy fats, so it is absorbed easier. If you are using Alpha Brain to achieve more lucid dreams then they recommend taking your two capsules 4-6 hours prior to bed. Consumers should not take more than 3 capsules in a 24 hour period so be mindful of when you take your dosage. As always, it is best to consult with your physician before starting Alpha Brain, especially if you are pregnant, breastfeeding, have any medical conditions or are taking any other medications. Most nootropic companies do not invest much time in researching their own products and rely instead on marketing. This is not the case with Onnit. Alpha Brain underwent two double blind clinical trials with significant findings. For example, those who took Alpha Brain versus a placebo experienced a 12% greater improvement in verbal recall, and 21% were able to plan or memorize things faster, as well as display improved mental flexibility (ability to think about multiple concepts at the same time). It was also found that those who took it were able to achieve peak alpha (aka. Flow state) easier than those who took a placebo. You can view the original studies here. Alpha Brain is one of the most popular brain enhancing nootropics on the market today, and even has several celebrity endorsements and of course, clinical research to back it up. But how does this stack up against other brain enhancing products like Natural Stacks’ CILTEP? CILTEP is a dietary supplement designed to improve focus, motivation and memory by inducing long term potentiation (LTP) in neurons. In layman's terms, this is to be one by increasing the activity in neural pathways, making it easier for your brain to take in more information. Like Alpha Brain, CILTEP contains natural ingredients, but its nootropic core is based on coleus forskohlii and artichoke extract, whereas Alpha Brains is in its AC-11, Onnit Flow Blend and the Onnit Focus Blend. Though varying makeups, there is little evidence that either products make up is truly more beneficial than the other. When both products ingredient dosages are broken down further, it can give you great insight into how beneficial the product can actually be. For example, CILTEP contains P-5-P, which is superior to Alpha Brain’s vitamin B6, but CILTEP's acetyl-l-carnitine dosage is not high enough to have any real effect on the brain. On the flip side, the amount of vinpocetine in Alpha Brain (or lack thereof) doesn’t offer many benefits either. It would appear that both products individual ingredient dosages are somewhat hit or miss. While both are good in their own right, consumers have found their benefits to be quite varying. 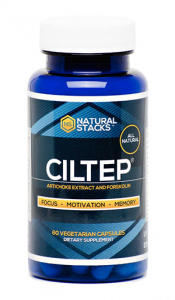 If you are looking for a supplement that is more likely to improve your focus and alertness then CILTEP is probably best for you. On the other hand, if you are looking for something that will improve your ability to recall names of people or places, and ultimately memorize new information then Alpha Brain is for you. We contacted the their team and arranged a Nootrohacker readers only Ciltep coupon to save 10%. It is offered in bottles of 30 or 90 vegetarian capsules; a 15 or 45 day supply. The price for 30 capsules is $34.95, while 90 capsules is $79.95. If you purchase from Onnit you will benefit from their Money Back Guarantee. If you try out Alpha Brain and do not like what you find, you can keep it and still get a full refund, as long as you contact them within 3 months of your purchase date. Just remember that this offer is only valid to first time buyers. As I said earlier, I was quite skeptical before writing this Alpha Brain review. I will say I am quite impressed with what it has to offer though. In terms of ingredients, the fact that it is designed with so many natural ingredients is nice and when you dive deeper into it, you can really see how each ingredient feeds off the others and makes the product work. There is little to no risk for negative side effects, which is a big plus when you consider that nootropics are designed to alter your brain chemistry. And the evidence from clinical studies doesn’t hurt either. Though I will admit they could have used a larger sample size, the results were positive and most of the consumers I have spoken to have enjoyed many of the benefits, whether they be enjoying more lucid dreams or their ability to retain more information faster. Our goal is to share not only the science behind nootropics in an easy to understand way, but also to help you make the best decisions you can when it comes to getting the right nootropics for you. The statements on this website have not been evaluated by the FDA. Our products or any recommended are not intended to diagnose, treat, cure, or prevent any disease. Consult with a licensed medical practitioner before taking any product mentioned.